Dalaman is an unspoilt and picturesque district, and the central town of that district, situated in the southwest of Turkey. The coast of Dalaman is what entices people to holiday in villas here. As well as the exquisitely blue and warm sea, the shoreline on Turkey’s Turquoise Coast offers white sands, secluded coves, lush green overhanging pine trees, romantic bays and dolphins. Dalaman town has a long beach untouched by development which joins on to Sarigerme Beach, offering plentiful activities and water sports facilities. Nearby Göcek offers a sheltered haven and excellent yachting opportunities amongst the archipelago in the bay, and rustic waterside restaurants. 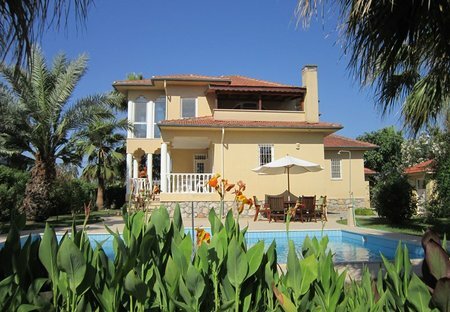 But the coast is only part of what Dalaman has to offer. 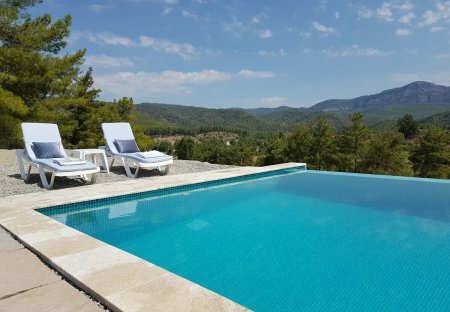 Search for a holiday villa inland to experience the jaw-dropping mountainous scenery, the tranquillity of fragrant pine forests; almond, citrus and olive groves. To explore some of Turkey’s culture, visit the excavated remains of the ancient city of Ephesus, haggle at the market at Mugla, or experience the extraordinary lime terraces and mineral baths of Pamukkale.